The Solo DL is a more advanced data logging model. 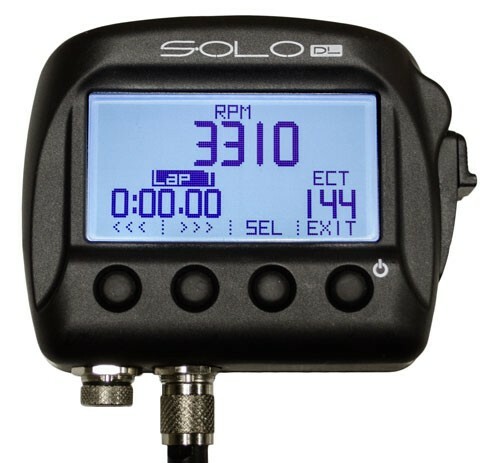 The Solo DL will connect to over 300 supported ECU models, including OEM CAN, OBDII, and the most advanced third party ECU's in motorsports. Thus giving you a Solo with all the above features, plus the ability to record up to 100 additional channels coming from your ECU (model pending). The Solo DL will also seamlessly interface with our popular SmartyCam video recording with real-time data overlay. The Solo DL has a suggested retail of $699 US. Please also check out the newer AiM Sports Solo DL 2!